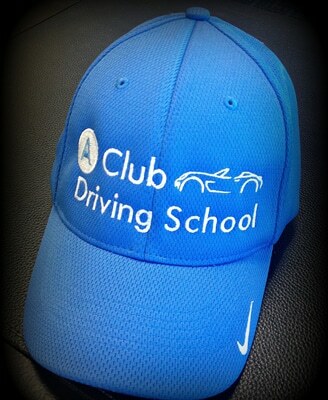 Here at A Club Driving School, our focus has always been to create a safe, fun and informative environment in which adults and teenagers can learn to drive or improve their driving skills. We will make sure you know exactly what you’re doing when you slide behind the wheel for the first time and for your road test. Our professional, one-on-one services will ensure you meet every goal you have put in place. Cancellations: Lessons and Road Test appointments must be cancelled with 24 hours advanced notice. We do not accept same day / late cancellations. Failure to give proper notice will result in forfeiture of lesson/road test. Refunds: within 10 days of purchase; subject to 3% processing fee for enrollment payments made by credit/debit. Lessons: Lessons are non-transferable. All lessons / packages must be completed within 6 months from the date of purchase. Lessons must be paid for prior to scheduling. Road Tests: Students must have BOTH their photo learner’s permit and pre-licensing certificate on the day of their scheduled road test. A Club Driving School is not responsible for expired temporary visitor status on the learner’s permit. Road Test appointments: A fee of $20 will apply toward the rescheduling of any road test appointment which a student has previously confirmed. Appointments for a road test will be for approximately 8 weeks from the date that the Pre-licensing Class is taken or from the date that a new appointment is requested. Pre-licensing Certificate: A fee of $25 will apply for issuing a duplicate Pre-licensing Certificate (MV-278).